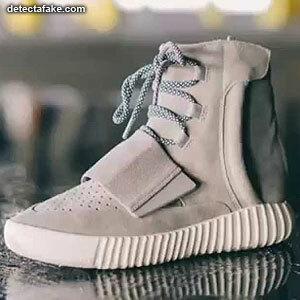 The Yeezy boost 750 was released at flagship stores only on February 14, available to those who confirmed a reservation through the Adidas mobile app. 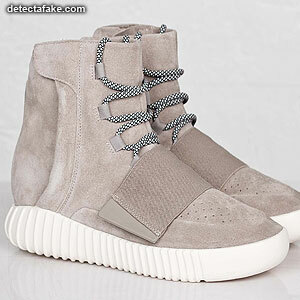 On February 21 the Yeezy Boost 750 was available throughout a wider range of retailers. Almost immediately, replica versions hit the market. 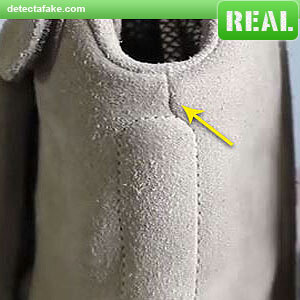 Below are a few steps to identify fake Yeezy Boost 750. The first thing to look for is overall quality. Look for alignment issues, material separation or any other substandard quality issues that jump out at you. 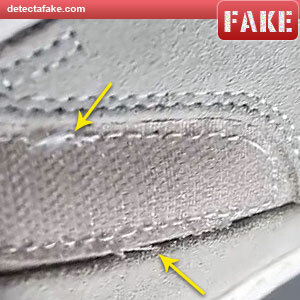 If you see any of those issues, they may be fake. 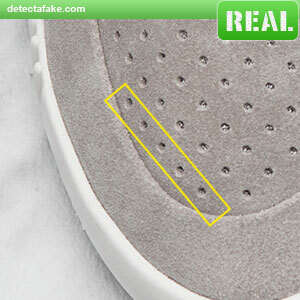 Next, look at the holes near the toe box. The first row of holes should have 5. Many of the fakes only have 4, as shown above. 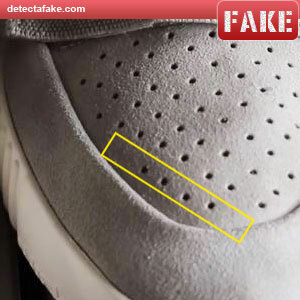 Next, look at the stitching on the side of the shoe. The stitching should be uniform and straight. 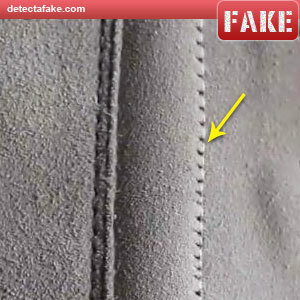 Notice in the fake above, the stitching quality is very poor. 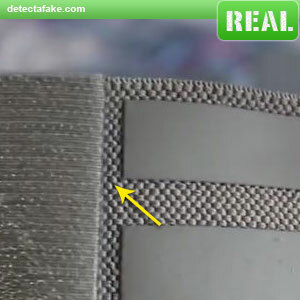 Next, look at the stitching on the strap velcro. 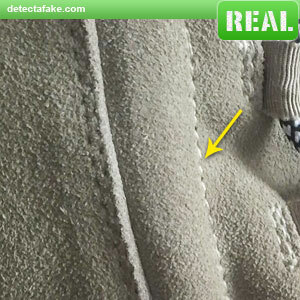 You should not see poor quality stitching or stitching pulls, like the fake above. Next, look at the inner strap. 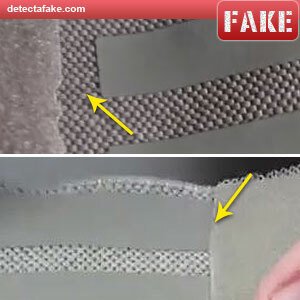 The 3 flat reinforcement pieces should have a small gap between the velcro and them. 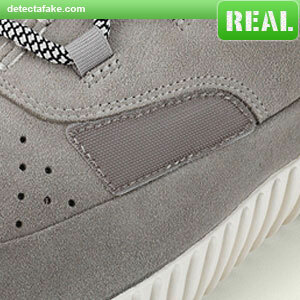 Notice on the 2 fake examples above, the top one is much too big and the bottom one does not have a gap at all. 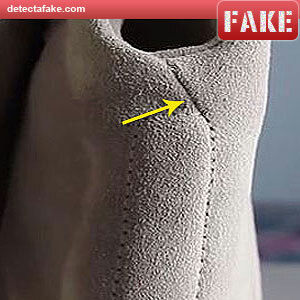 Next, look at the upper seam on the back of the shoe. 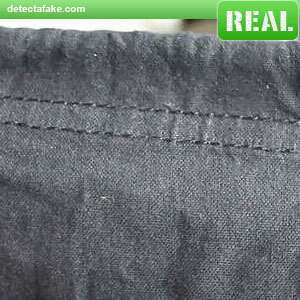 The seam should go straight up, as shown on the real one above. 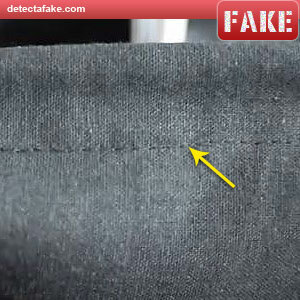 Notice on the fake one, the seam travels up at a sharp angle. Next, look at how they stand on their own. They should stand straight up and hold their form. 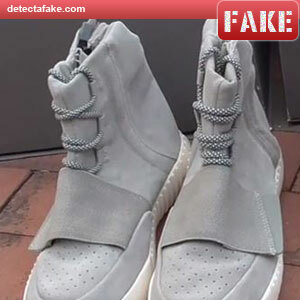 Notice on the fakes, they look wilted and collapsed inward. 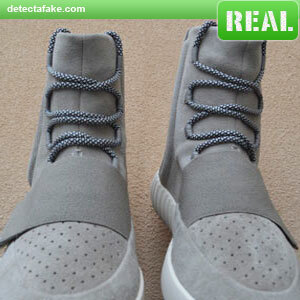 Next, look at the insoles. The left and right should face opposite directions, like the ones above. And last, look at the dust bag, if it comes with one. The stitching towards the top should have 2 rows. 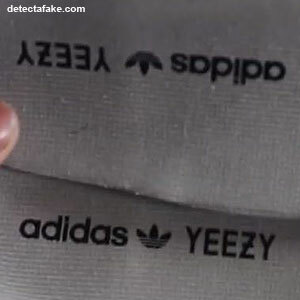 Notice the fake above only has 1 row.